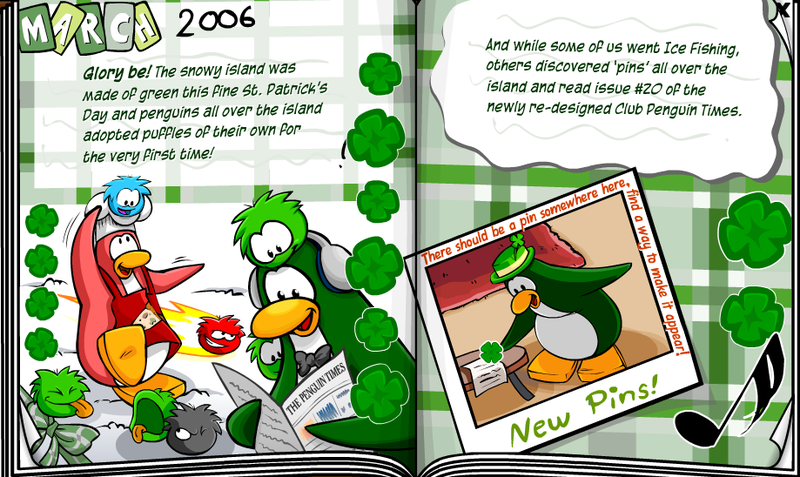 St Patrick’s Day 2006 | Fosters1537 and Yellow Crown's Club Penguin Guide! No pictures here, sorry. But all we know is the Leprechaun Hat was free item for the first time. In March as seen below, the newspaper got a new design before the current one (it was before a paper with one page and black-and-white only). Pins were collected, puffles were adopted and Ice Fishing game was out for the first time!